There are tons of scientific articles about maternal instinct and how all mammals display this instinct on some level, but what most people are truly asking about when they pose this question is not the scientific side of the matter. Sure, there are hormones and processes in place that help bring baby together with mom as part of the bonding experience known as maternal instinct, but no two mothers are the same and some mothers self-admittedly claim to have little maternal instinct at all. There are natural bonds that take place between some mothers and babies from the first moments of life. These bonds are often facilitated or impaired by the actions that occur immediately after birth. Some mothers claim having their infants placed on their skin immediately after birth was the exact moment when the bond occurred. Other women, who don’t experience that due to C-section or emergency delivery, claim bonds happen later during breastfeeding, bottle feeding or skin-to-skin contact of some kind. There are even mothers who claim bonding wasn’t immediate at all and took many weeks or even months to fully happen. The natural bond between mother and child is different for every pair. Some mothers have trouble accepting baby. This can cause bonding to take longer and, in some cases, that natural bond some mothers feel never happens. 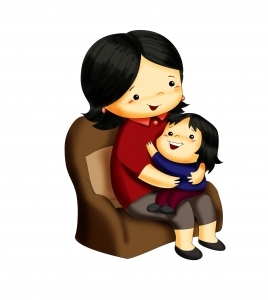 Other mothers feel a bond so strong it is overpowering – leading to separation issues down the road. I’ve never been that mother who jumps up and runs to her child’s side when they get hurt. I allow my children to make many mistakes in hopes they will learn from those mistakes and become better people. My maternal bond/instinct is extremely strong despite these choices. I am overprotective in some aspects of life and extremely lenient in others. I’ve never questioned my maternal instinct, but I’ve never really felt like a mom in the proper definition of the word. I feel more like a guide helping my children along the path of life pushing them in the right direction when they need it and allowing them to stray when necessary. Maternal instinct is natural, for many women, but that doesn’t mean it feels the same for all moms.